The greatest fear of today’s retirees is not having enough money to maintain one’s lifestyle through their golden years. Most Americans will depend upon Social Security because of the regular income that is guaranteed to increase over time, yet many advisors seem to struggle with the discussion of one’s benefits and how to effectively maximize them because of the perceived complexity. 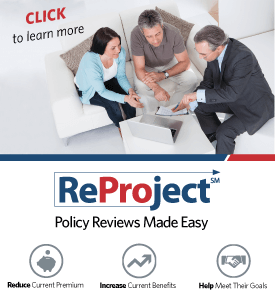 LifePro has created a turnkey marketing program entitled Social Security Maximization. The remarkable work within this program will not only clearly outline what steps your clients need to take to maximize their Social Security benefits, but it will also illustrate the shortfall of income and what solutions may be suitable for them. Leverage the discussion of Social Security and help your clients live a prosperous life! Revolutionize your business and life as you target the quarter-million Americans who are turning 65 every month. Learn the precise language and proven sales approach that is generating average case sizes of $177,773 in annuity sales and $10,968 in life sales. 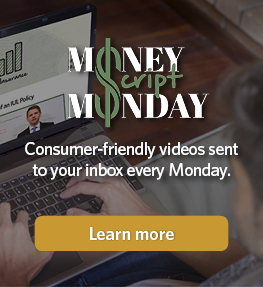 Expand your service offerings utilizing the proprietary system the marketing team spent months researching and developing that clearly and easily - and best of all, instantly - informs your clients on what they need to do to maximize their Social Security Benefits. Use strategies from the leading marketing experts to gain a competitive edge against your competition and watch your profits soar. The marketing materials used are strategically designed to target the emotions of the client and gain the credibility and trust you require. The SSI Max marketing program is for the independent financial professional who has a serious interest in resolving their clients concern about how to properly collect Social Security to maximize their income. This advisor carefully determines who they work with and precisely targets the individuals and families with investable assets so that they can best optimize their valuable time. The advisor is educated in the Social Security realm and can confidently present as being positioned as the expert. He/she understands the SSI Max marketing program is the segue into the discussion of ones retirement as it is ultimately up to them to advance the discussion into life insurance and annuities. With this being the most comprehensive marketing program, there are lots of tools and resources you will have available to you once you express interest in SSI Max. Most materials are available to you right away at no cost, while others need the appropriate time to customize it to your business and require some investment. "I just completed 2 SSI MAX seminars back-to-back on Tuesday and Wednesday this week. Total attendance for both evenings was 38 households. 21 households want to meet with me. I consider this a success! I'm hoping we both get busy with the analysis and additional business. "Deb S.
"I sent out a SSI Max newsletter earlier this week and it landed in the lap of a local realtor that has quite the client base. He now wants to offer this service to about 4,000 of his clients. I just wanted to say thank you for putting together such a great marketing program! 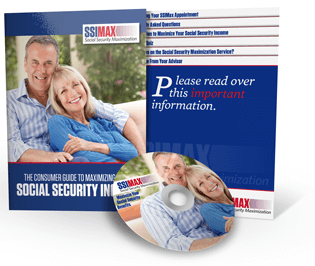 "Rick C.
"I am truly impressed with your Social Security Marketing packet.” Michael F.
Click the button below to receive "The Ultimate Sales Guide to Selling SSI Max"!